The Keysight 10833B (2 meter) GPIB cable is engineered for exceptional reliability and durability even under the harshest conditions. When you buy Keysight GPIB cables, you can be sure of automatic, seamless compatibility between computers and instruments throughout your system. GPIB interface cables, cards, and software for your computers make it easy for you to access and control instruments and exchange data - and it all starts with the cables to connect your computer and instrument. 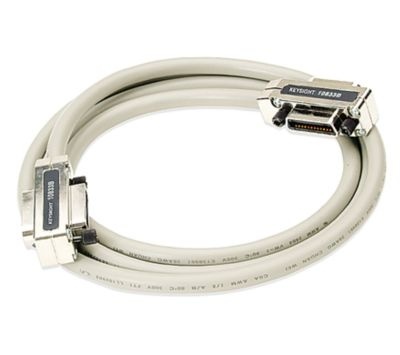 Keysight GPIB cables are fully compatible with the IEEE 488.1 mechanical specification.